With Fire & Sword is the thrilling sequel to the action role-playing hit Mount & Blade: Warband. Be a mercenary or join one of the five battling factions to conquer, destroy or create empires. In an open sand box world you choose your allies, your enemies, what provinces to conquer, what castles to siege and what quests to embark on. 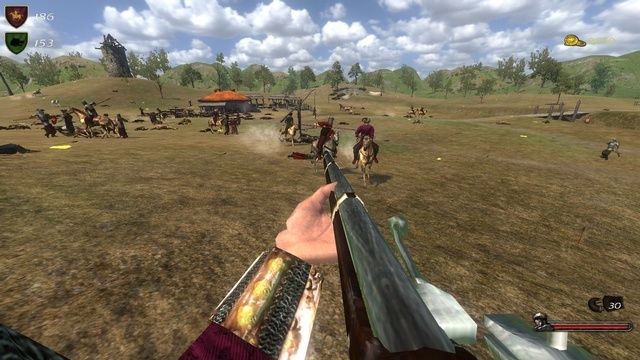 With Fire & Sword also greatly builds and expands upon the highly regarded combat system from Mount & Blade: Warband. Firearms and battle formations, based off real-world military strategies, have been introduced to the battlefield. Also, muskets and pistols can now be used as sidearms in hand-to-hand combat to quickly drop your foes. In addition to the enhanced singleplayer mode, With Fire and Sword also provides a host of original multiplayer content including the new game mode: Captain. Multiple endings to sustain player’s interest and increase replayability. Deeply researched historical component encompassing every aspect of the game’s assets.